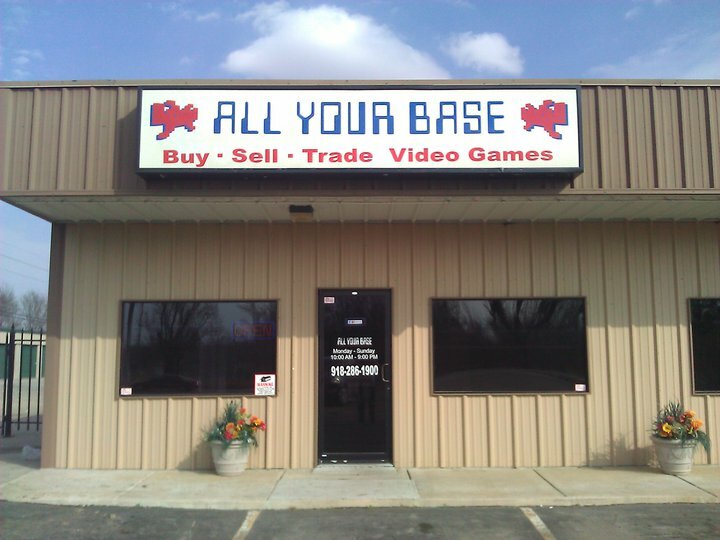 When I went to Oklahoma Video Game Expo (OVGE) 2012; All Your Base was new to the convention and that is where I found them for the first time. The owner of the store is very knowledgeable about the material in his store and is wanting to spread the word of good games. A business is a business and money is the focus, but didn't ever get the feeling that money was the sole purpose of the store. While I was in the All Your Base I felt like upholding the joy of gaming was at the core of store front; not just “I want your cash and care nothing about what kind of experience you have here”. Recently I found time to check out his store in Broken Arrow and greatly impressed that it has its own vibe. All Your Base features buying, selling and trading of gaming merchandise. With a feeling more like Vintage Stock and GameXchange than a GameStop shows right there that a focus on the gamer is in atmosphere. Due to the size of the store the only sell products are current generation titles and systems, although the owner informed that he would love to start selling more than just what is current. However, that would require a bigger store. Let's face facts here; gamers of all walks of life enjoy playing games, but the masses move on to the newer systems. So building around retro games when starting up a store...not going to attract many paying customers. What really entices me about this store happens to be the non-selling platform the store also has. In my time in the store I found out that All Your Base hosts tournaments throughout the year and the entry fee is just a game you want to trade. As per the titles being arena-ed are the usual First-Person Shooters and Fighting games, although All Your Base also holds tournaments for Yu-Gi-Oh! And Magic: The Gathering and attempts to have non-fighting and shooter tournaments. In my forty some-odd minutes of being in the All Your Base I was sold. Not just because it is a local gaming store, but also the impact the owner wants to have on the Oklahoma community. This also shows me that conventions like OVGE do work in the spreading the word of the gaming community. 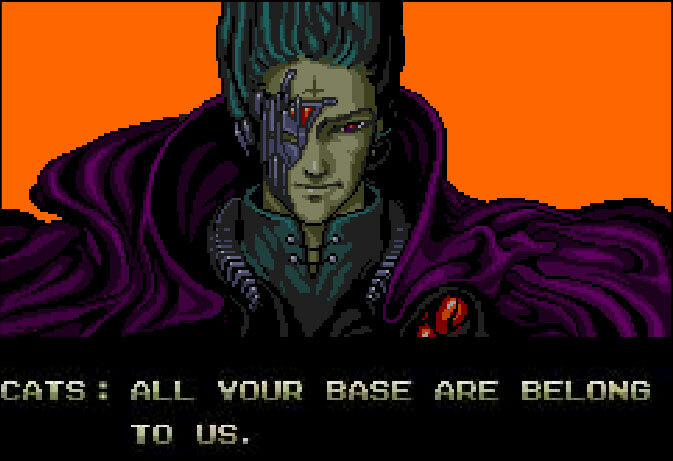 Check out All Your Base on Facebook.